Its Howl-o-Ween at Oldies Club and we have two fabulous events for supporters to get involved with. The first is a Halloween fundraising photo competition which is open to dogs of all ages. 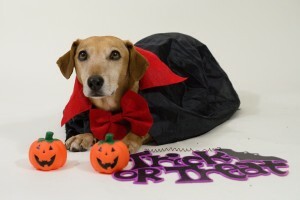 The winning dog will win a goodie bag. The competition will run for the month of October, closing at 9pm on Saturday 31st October 2015. PLEASE don’t leave it till the last minute and risk missing out!! 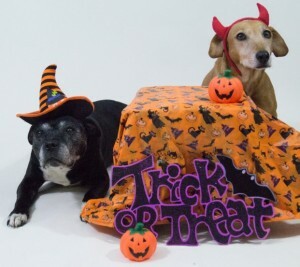 Photos entered must have a Halloween theme. This can be dogs wearing fancy dress or with halloween style props. Please do not enter professional shots i.e those taken at Pets At Home. Please send photos to events@oldies.org.uk Entry cost is £1 per entry (one photograph per entry). You may have as many entries as you wish. 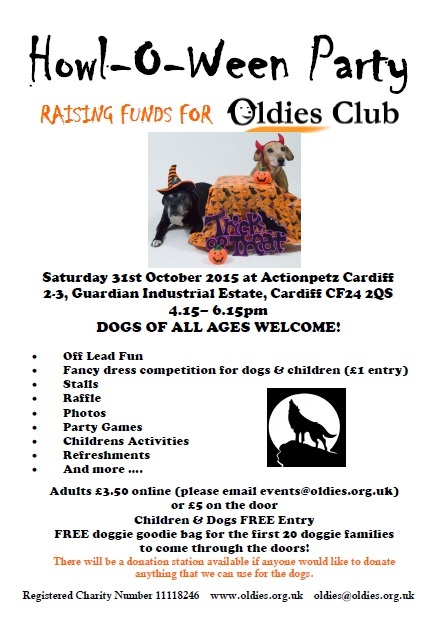 Our Second event is a Fun howl-o-ween party for canines and their familes at Actionpetz Cardiff raising funds for Oldies Club. Dogs of ALL ages welcome! 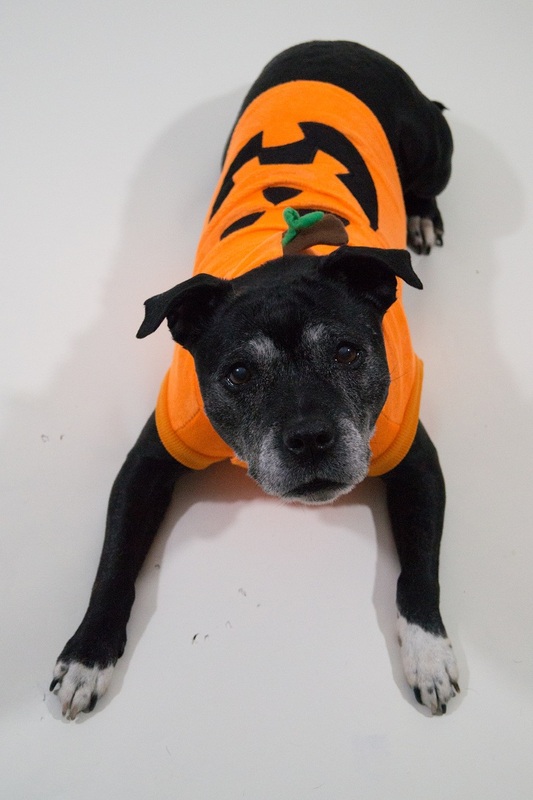 Party to take place between 4.15pm and 6.15pm on Saturday 31st October. Children & dogs free entry.